"My outfit today is inspired by La Dolce Vita." 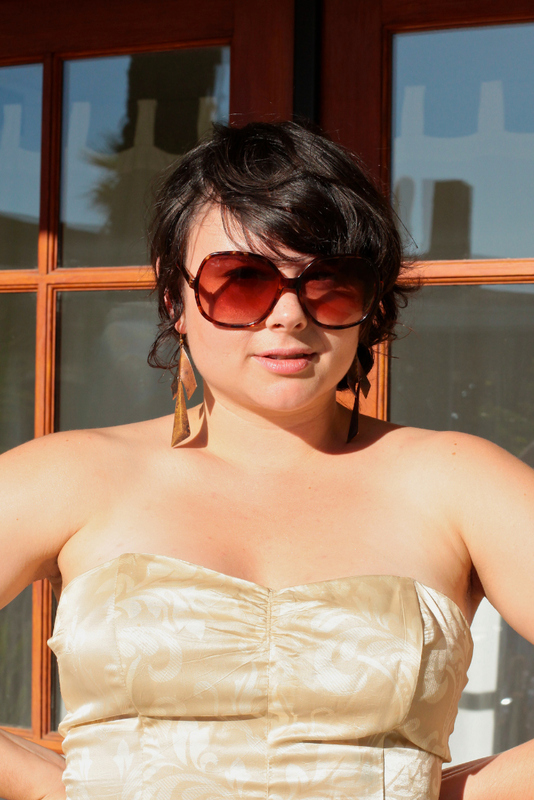 It isn't surprising that designer Ellen McCoy looks great in her golden jacquard strapless dress. I like how she pairs it with those amazing vintage earrings.